Resin Loo-ser! Fun Achievement Trophy. A great fun achievement trophy measuring 155mm high. Gold toilet with a gold trophy and silver detail. 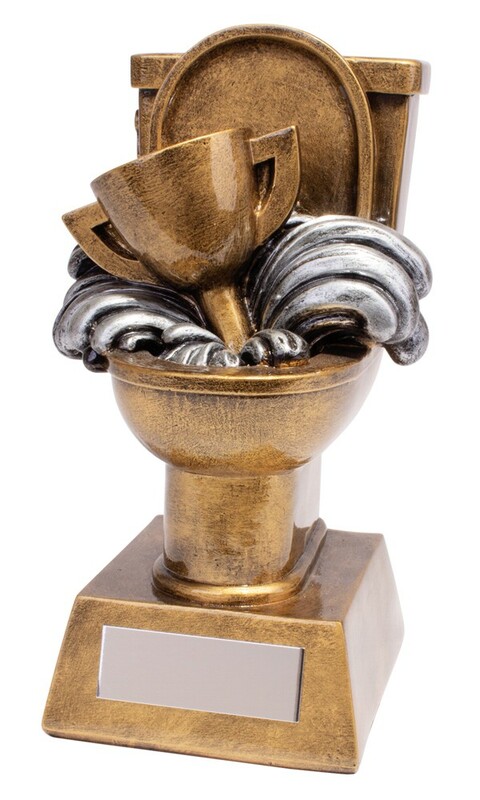 A brilliant toilet award to reward your last place!